Atlantic waves are washing against the rocks and the sandy beaches. 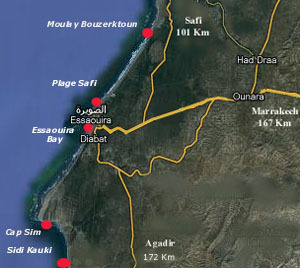 The Island of Mogador is protecting the bay and the mouth of the river Oued Ksob. 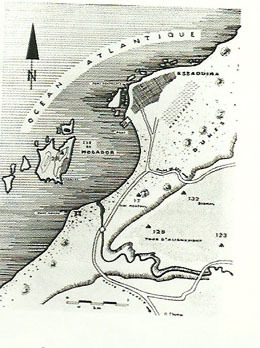 North and south of the town there are endless beaches, dune forests and rocks.The coastal ramparts of the well fortified old town suffer interminably from erosion. 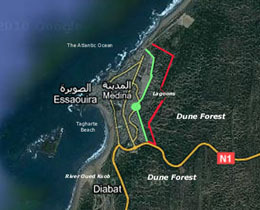 The Green belt wall marks a well-defined limit of the city towards the dune forest and the Bohaira lagoons. 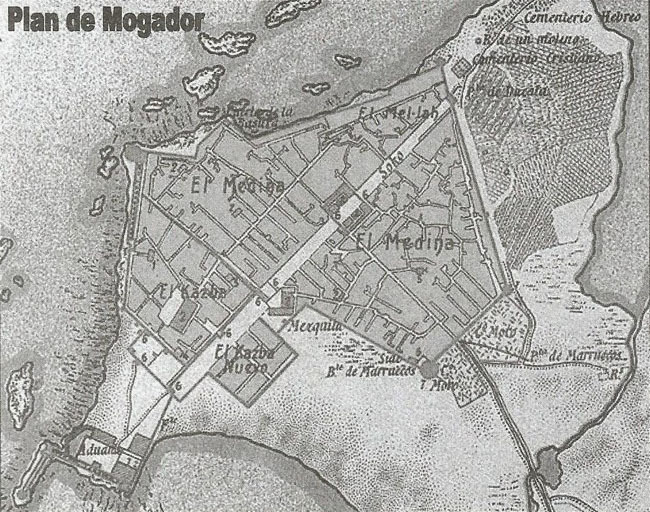 Map of Mogador Bay from 1767(Plano y perfil del Puerto de Mogodor. 1767. Click on the name of the maps to see them bigger! 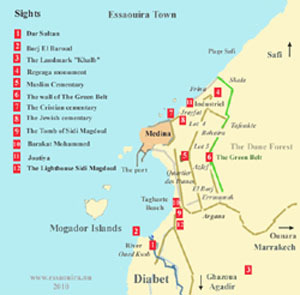 Interesting places to visit to learn more about the history of Amagdoul - Mogador and the town and province of Essaouira. Cultural artifacts. The flora and fauna or just nature as it is. Beaches and surfspots. Weekly souks. 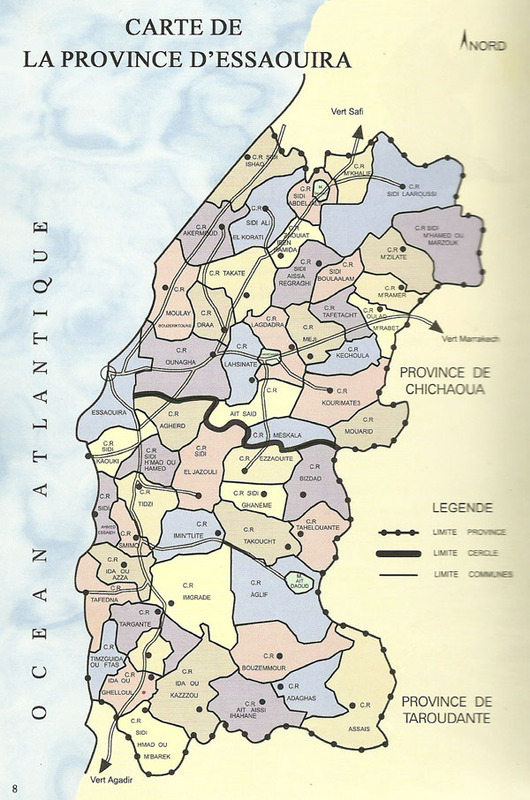 Regional targets. Contemporary public-space artworks in Essaouira, 2011. 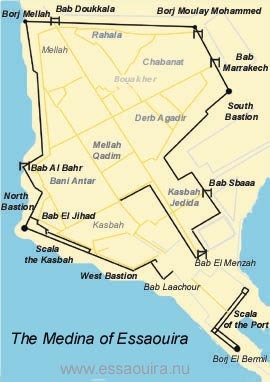 Location of Bus Stations, Taxi and Koutchis. Airport. 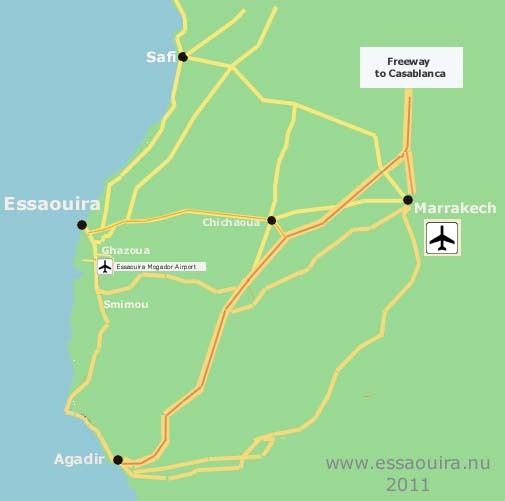 and Agadir 170 km south. 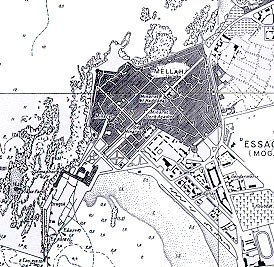 Older nautical chart of Essaouira. 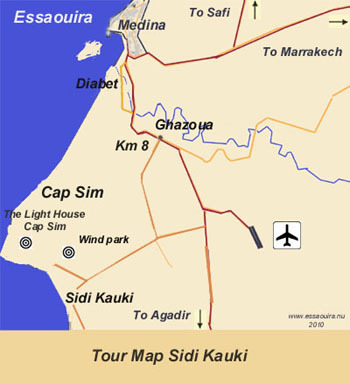 We see the Medina and the Port and the growth of the new town, north-east from Bab Doukkala gardens, east to the forest and the lagoons and south of Bab Marrakech along the beach and the dunes. 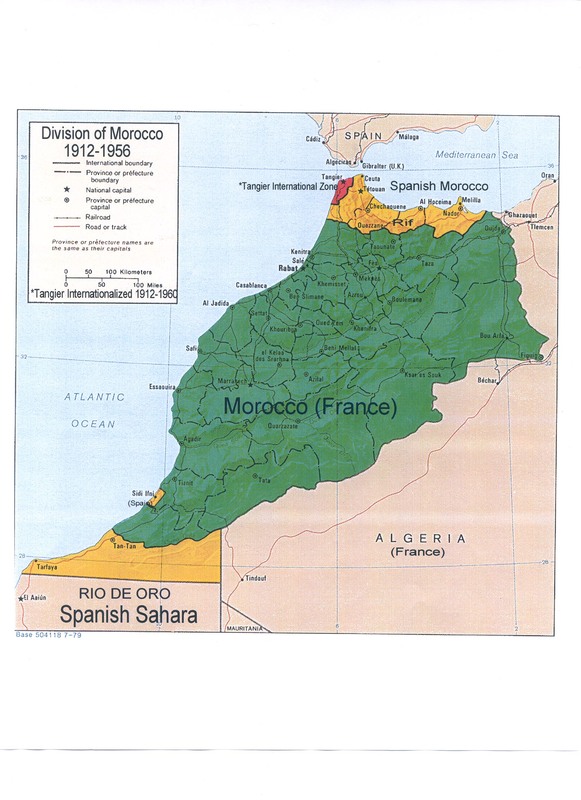 the Phoenicians as well as local Amazighen (Berbers). 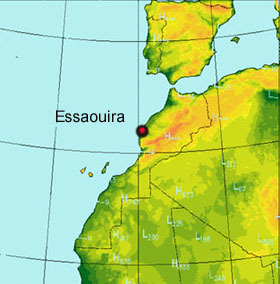 The history of Essaouira begins with Mogador. famous for its breeding birds. 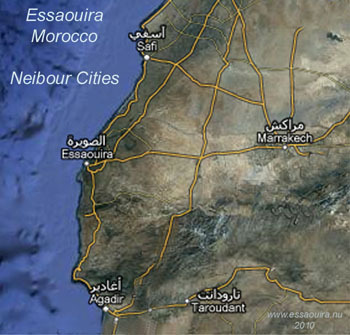 like no other coastal town of Morocco. Mild winters, rainy periods and a wawy sea. 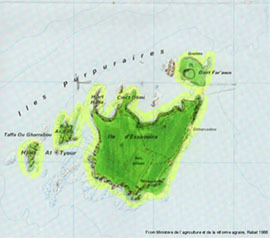 The wall marked in green protecting the dune forest and the lagoons east of the town. 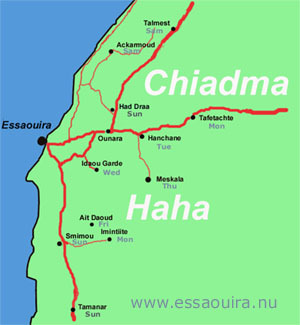 Chiadma is referring to the Arabic tribes and Haha to the Amazigh (Berber) tribes. Visiting the souks is an adventure and a vivid experience. 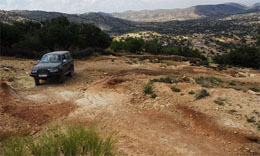 More than 30 weekly souks are to be found in the nearest environs.